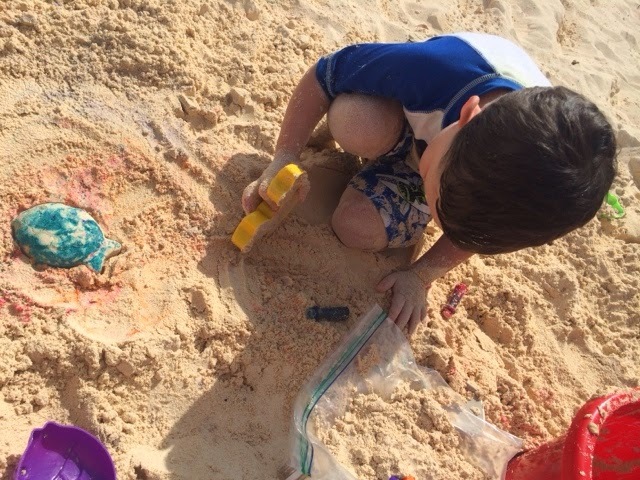 This is so simple I’m not sure it deserves a whole blog post but it was just too much fun not to share! 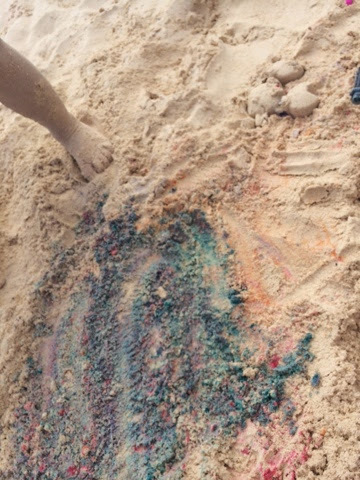 We brought a box of food coloring to the beach today to spice up the sand castles we’ve been building. 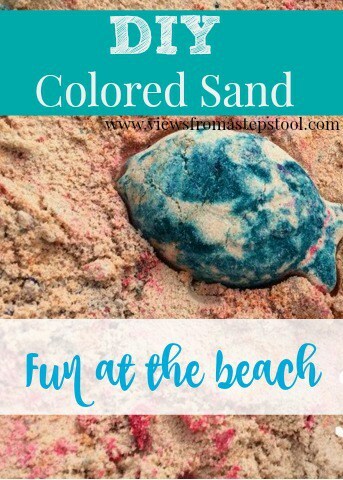 We decided to add it to the dry sand and then moisten it afterward but I’m sure you could mix some food coloring with water and add to the sand if you want to avoid colored fingers. 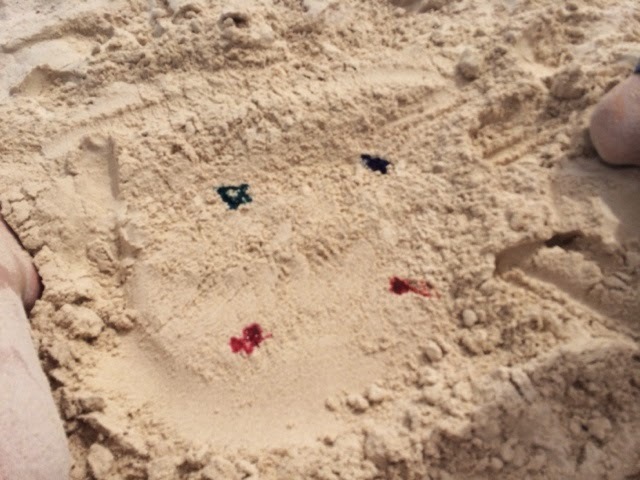 We started with individual colors but after mixing the sand around we ended up with a nice rainbow colored sand. 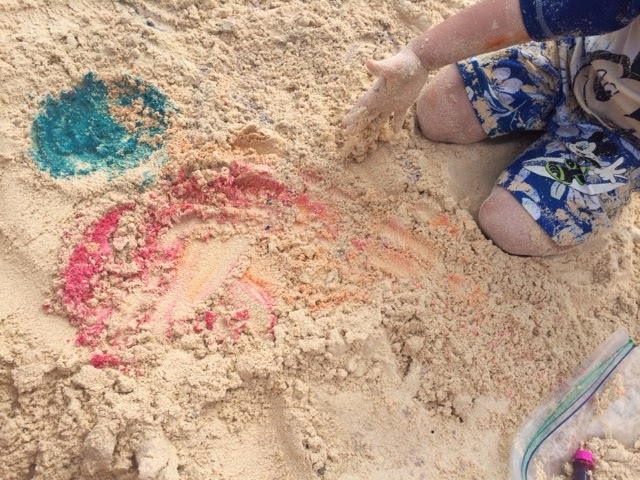 We had so much fun making rainbow fish, just like the book! 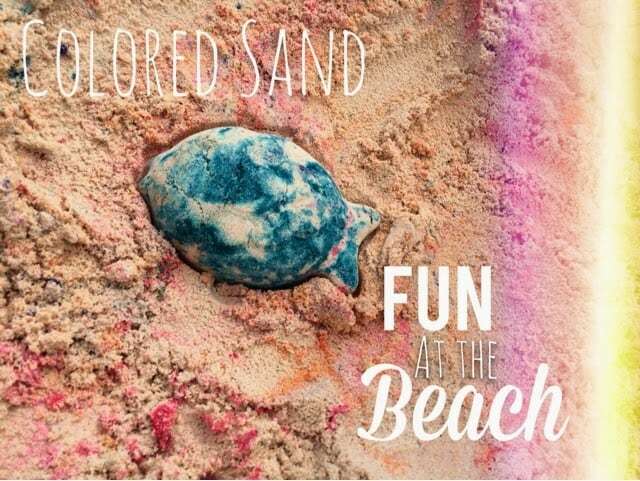 Not only was this fun but the food coloring was so easy to pack! 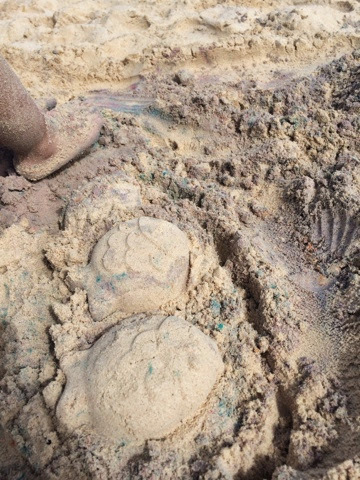 Definitely a great project for the beach! 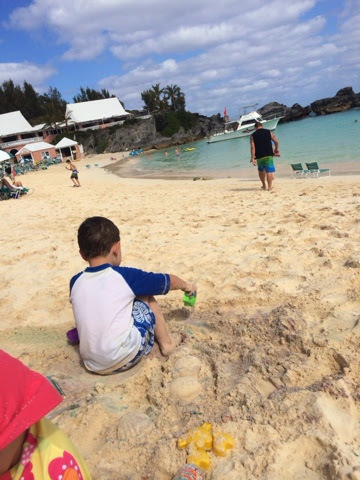 You can also check out my Beach Ideas board on Pinterest.